What is the copyright status of this blog? Writers of the review own the copyright of their reviews. When you submit a review to Cool Tools you are giving us permission to run it on Cool Tools. But we don’t publish all the reviews that are submitted. A recommendation will go to our editors who will consider it in the context of our past reviews and the other tools we have collected. Normally there will be some editing of the text. If we do run your review on the Cool Tools website, we may also re-use it in other versions of Cool Tools (for example, print, ebook, or app editions of Cool Tools). Submitting the review grants us permission to do that. Otherwise, the content of this website operates under the Creative Commons License — that is we encourage non-commercial sharing of this material with attribution and credit. Why is a tool listed as Unrecommended? We only review tools that are highly recommendable. However over time we occasionally determine that a newer clearly superior tool has made a once cool tool obsolete, or the recommended tool may no longer be manufactured, or perhaps the manufacturer or source may not be reliable. Or we may discover the reviewer was not reliable, or that other readers had too many problems with the item, or that the item is simply no longer useful because the technological platform (like tape machines) has disappeared. Any of these reasons or more can cause us to reconsider a tool. We could simply delete the unrecommended item from this website, but since older tools may have many outside links to them, and because there may be value to some readers in having a historical record of previous tools, we re-catagorize the tool as a DEAD TOOL and label it as Unrecommended. How can I get my invention reviewed on Cool Tools? You can send us a review sample, but it will take a while for us to try it out, even longer to decide if we love it, and even longer before we may get around to writing it up (if something better has not come along first). An item has to be markedly superior to comparable items, and maintain that superiority over many months, if not years. It does not have to be “new.” But it does have to be great. 1) Don’t send us anything we have to send back. We are not set up for keeping track of things or not harming them, and if it is so precious that it needs to be returned then it is probably too expensive for Cool Tools. 2) We make no guarantees when or whether we’ll write a review. You’ll know only if we publish it. 3) We only publish positive reviews. If we don’t love a tool, we say nothing. Even merely “good stuff” will get ignored. If it ain’t great, we don’t run it. That means very few of things we try get reviewed. Statistically, it’s a long shot for your product. Why should readers write reviews for your blog, enabling you to get ad and other revenue? I can’t speak for why other people post reviews and comments on this blog, but I can tell you why *I* post things on other blogs that make revenue from ads. I do so because I want to join in a conversation about something I care about or want to share. I like being able to help others. I like sharing what I have learned. I like being proven right. I like having a conversation. I am not bothered by the fact that I don’t get paid for my comments, or suggestions. I am not doing it on a regular basis. I am not bothered by the fact that my host may be making revenue because they do have a few expenses for servers and the like, and I know from my own blog, they are putting time and effort into keeping the site going, weeding out spam, selecting the material etc. (In the case of Cool Tools there are two part-time employees in addition to me who keep the site attention-worthy.) I am aware that my efforts do “enrich” the owners of the blog, but they also enrich the community at large, and so I consider it a fair trade. I am also encouraged to keep contributing to other places because I often greatly benefit from those thousands of other folks who have posted great stuff on these blogs. In fact the greater web is built on this same curious dynamic. I am surfing along on the generous work of others who have for the most part made unpaid contributions to profitable small businesses. Or even big businesses, in the case of the millions of unpaid reviews on Amazon. I use Amazon reviews all the time, and so in one sense I post on other sites in a form of repayment for that treasure. As to why *other people* post reviews on Amazon, or on Cool Tools, I can’t explain it. How do you decide what ads to run? The ads that run on this site are chosen by mathematical algorithyms written by ad network providers. The idea behind these formulas is that they pick the ads they believe will most likely be clicked by readers of this blog. That means we have little control over what ads run on this site, and I like it that way. It keeps our editorial independence clear: We don’t run reviews based on who is advertising since we don’t know who will advertise. Google Adsense and Federated Media (the networks that deliver the ads) only run ads that will get clicked on by my readers, so I guess we get the ads we deserve. Both networks offer the option of excluding specific advertisers, but currently, we are not excluding anyone. What is your policy about accepting free samples for review? Most of the reviews on this site are written by readers. We emphasize recommendations based on personal experience, so in most cases, reviewers have bought the item with their own hard-earned money, which makes their recommendation on Cool Tools all that more valuable. While we do ask contributors whether they have invented or sold the item they are reviewing, we don’t have any objective way to confirm what they tell us. However, I have edited user-written reviews for 25 years (!!!!) and I’ve gained a pretty subjective sense for when someone is shilling a product, and often in the back-and-forth editing that goes on behind the scenes for every review, we are able to sniff out folks who are connected to the product in some way. I can’t say we are 100% effective, but I would guess we are 99% effective in retaining only legitimate unpaid user recommendations. 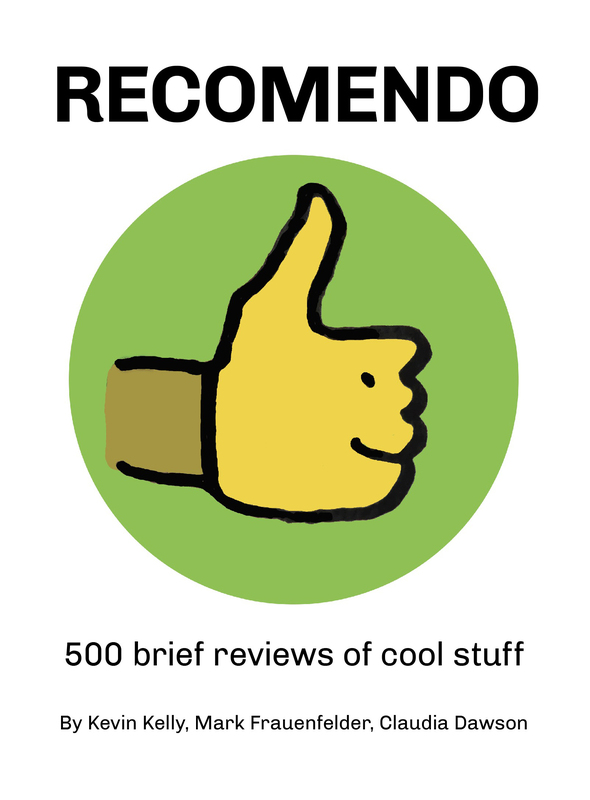 Here’s the deal on getting stuff reviewed by Cool Tools. 3) We only publish positive reviews. If we don’t love a tool, we say nothing. Even merely “good stuff” will get ignored. If it ain’t great, we don’t run it. That means very few of the things we try get reviewed. Statistically, it’s a long shot for your product. This latter point is important. We make no promise to review anything. We don’t promise contributors, or vendors. We’ll review it when we find enthusiasm for it, and not before. Sometimes manufacturers, or inventors, or PR folks will send us stuff out of the blue. This is true of books. I purchase books from Amazon about once a week, but at the same time, I am on a number of publishers’ lists and I get a steady stream of review books. It is beyond me to keep their streams separate (did that book come from the publisher or Amazon?). Same situation with a much smaller stream of gadgets. The result of this trickle is that about once or twice a year, we will review a item that has been sent to us for free. In these few cases we don’t mention this because how something arrived is not important to the process, and often (as with books) not even remembered. Why do you always list Amazon as a source for a tool and not a smaller alternative vendor? 1) Amazon usually has the best price. Not always but usually. This is a reader-oriented site. We are not trying to please advertisers first, or sponsors, or the vendors of products. Vendors of the products we review ask us to do many things for them, which we don’t do (they’ll want *their* link rather than someone else’s). Small vendors in particular would like us to support small businesses. Instead, Cool Tools supports readers first. So we’ll try to find the best source from the users’ point of view. We provide Amazon as the first source when they have the best or comparable price for the product. And usually they do. If we see another source with significantly better prices, we will list that. It is very rare when Amazon is the ONLY place something is available. 2) In addition to Amazon we will always list the actual creator, manufacturer, or supplier of the product if we can find them. This is not as easy as you would think, which is why not every item has this info. (If you know of an original source link we have missed please send it to us and we’ll gladly add it.) So this is another option for those who like to shop with the creators directly. 3) We also have a self-interest in using Amazon. The work of Cool Tools is supported by the advertising program at Amazon. When you click one of the Amazon links on this site, we collect a small fee from Amazon. That income pays for our servers, programmers, and the editors (not me) who produce one new review per weekday. 4) But the most important reason we generally list Amazon is because they are the most reliable and convenient. Whenever we list a small-time source we are taking a chance that their delivery will not be reliable, or their return policy not good, or their shipping charges excessive, or spam policy stupid, or whatever. Sadly, we’ve guessed wrong on a number of products in the past, where we had to pick a small vendor with no experience, only to hear from readers that that source was not reliable. In the spirit of Cool Tools, with reviews that are written by people who have actually used things, we like to provide sources that we have actually used. Amazon is not the only source we have used, but combined with the reasons above, we have generally found it to be the most reliable for most users. 6) Finally, these days it is so easy to use Google Products or any of the hundreds of other shopping comparison sites to find alternative online sources for things that you don’t need us to list them. We simply can’t do as good a job in finding them as they do. To sum up, we list Amazon because it is a convenience for most readers. Think of it as the place to start looking. You can see what a good price is that you should expect to pay, you can read the reviews, you can see the specs all laid out, you can see similar products. If all those meet your approval you can buy in one-click. If you care to patronize alternative sources, you are now better informed to do so. In my experience this is how most people shop already. It’s rare someone buys something from another source without first checking on Amazon just to get a baseline. We provide the link for that baseline. Why was my posted comment deleted? You may insult tools, but not people. We delete comments that denigrate, insult, and name-call other individuals. The intent of comments is to let anyone with personal experience with a reviewed tool add confirmation or disagreement with the recommendation. Or anyone can correct incorrect information about the product. Or suggest better products. Disagreements are welcomed, but the discourse must be polite and civil. If a comment seems to belittle someone else, we will delete it. Yes, this is a vague and subjective line, but it always is. Why wasn’t my comment posted on the site? We moderate comments. Comments with a lot of links embedded in them will be caught by our software and held for our review to make sure they aren’t spam. If the comment is legit, then it will post probably a day later. Like the review itself, your comments should convey specific information in a way that enhances our understanding. Why did you run item X? It’s not a cool tool. I use a very broad definition of “tool.” A tool is anything useful. It does not have to be a hand tool, or even something physical. It can be a book that will tell you how to do something. It could be a website, too, that is useful, say, in keeping track of your budget or converting currencies. It could be a map, or a specific kind of material, or even an educational course, or anything that anyone can easily acquire that will help accomplish something. It can even be an idea. What makes a tool “cool” is its superiority over comparable tools. We’ll recommend a tool if it is significantly better, cheaper, easier to use than similar tools. Or, of course, we’ll list it if it is the only one of its kind. We try to be as general-purpose as we can, reviewing tools that will appeal to many, rather than merely a very specialized subset. In fact the coolest tools are those that can be used in many different fields. But not every tool will be general purpose; often times we’ll feature a specialized tool (say a watch opening wrench), not because we expect very many folks to buy one, but just because knowing it is exists is a kind of tool in itself. Cookies set by the website owner (in this case, Cool Tools Lab) are called “first party cookies”. Cookies set by parties other than the website owner are called “third party cookies”. Third party cookies enable third party features or functionality to be provided on or through the website (e.g. like advertising, interactive content and analytics). The parties that set these third party cookies can recognize your computer both when it visits the website in question and also when it visits certain other websites. These cookies are strictly necessary to provide you with services available through our Websites and to use some of its features, such as access to secure areas, our comments, and videos. Cookies are not the only way to recognize or track visitors to a website. We may use other, similar technologies from time to time, like web beacons (sometimes called “tracking pixels” or “clear gifs”). These are tiny graphics files that contain a unique identifier that enable us to recognize when someone has visited our Websites. This allows us, for example, to monitor the traffic patterns of users from one page within our Websites to another, to deliver or communicate with cookies, to understand whether you have come to our Websites from an online advertisement displayed on a third-­party website, to improve site performance, and to measure the success of e­mail marketing campaigns. In many instances, these technologies are reliant on cookies to function properly, and so declining cookies will impair their functioning. Our Websites may also use so-­called “Flash Cookies” (also known as Local Shared Objects or “LSOs”) to, among other things, collect and store information about your use of our services, fraud prevention and for other site operations.